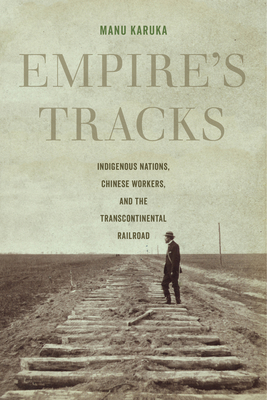 Empire’s Tracks boldly reframes the history of the transcontinental railroad from the perspectives of the Cheyenne, Lakota, and Pawnee Native American tribes, and the Chinese migrants who toiled on its path. In this meticulously researched book, Manu Karuka situates the railroad within the violent global histories of colonialism and capitalism. Through an examination of legislative, military, and business records, Karuka deftly explains the imperial foundations of U.S. political economy. Tracing the shared paths of Indigenous and Asian American histories, this multisited interdisciplinary study connects military occupation to exclusionary border policies, a linked chain spanning the heart of U.S. imperialism. This highly original and beautifully wrought book unveils how the transcontinental railroad laid the tracks of the U.S. Empire. Manu Karuka is Assistant Professor of American Studies at Barnard College.